Marquise Romantic Ring for Mirele by Cynthia Britt. 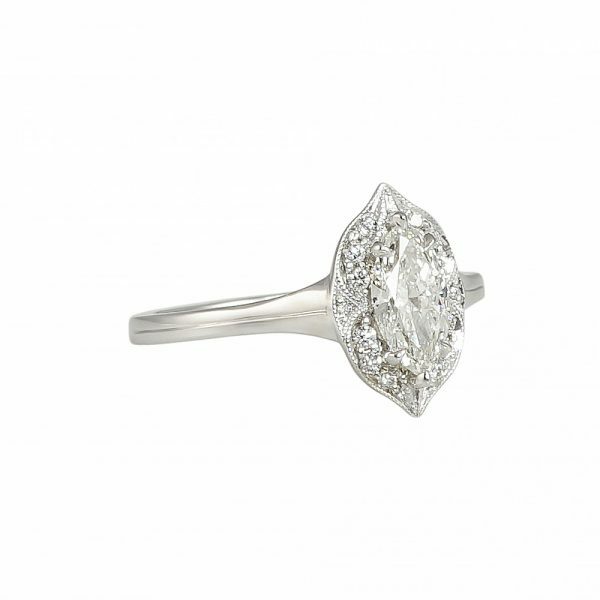 This charming ring features a beautiful center 0.55 carat Marquise cut diamond surrounded by a very unique halo consisting of bead set diamonds and a specialized milgrain. 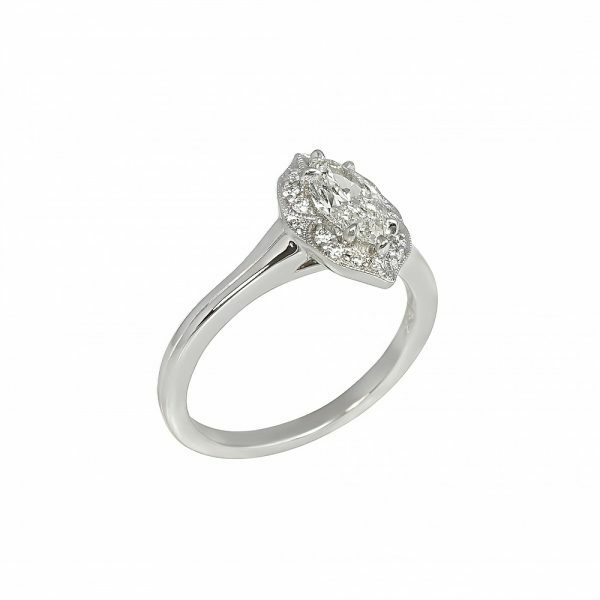 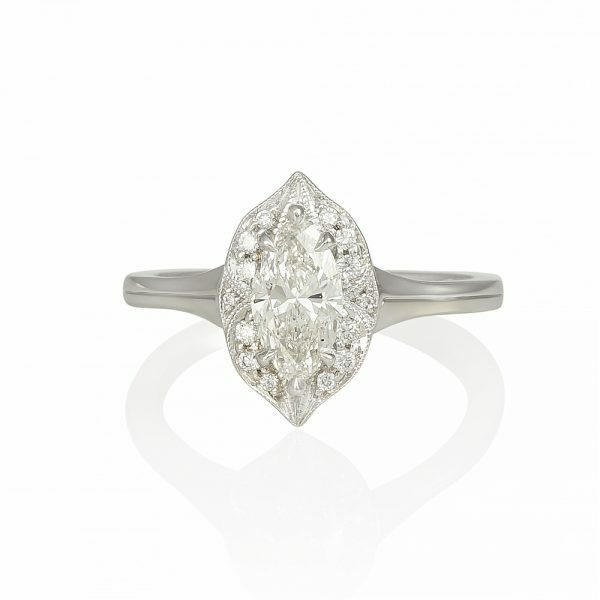 These aspects accentuate the original beauty of the center diamond, as is common with all Cynthia Britt halo designs. 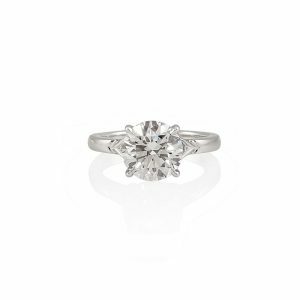 For inquiries on the center stone and to order your own custom made engagement ring, please contact Cynthia directly.